As noted in the introduction, I haven’t had the opportunity to spend much time with OnePlus devices in the past so OxygenOS is also naturally something I haven’t had much experience with. OnePlus is known to have excellent software support with quick and frequency updates. 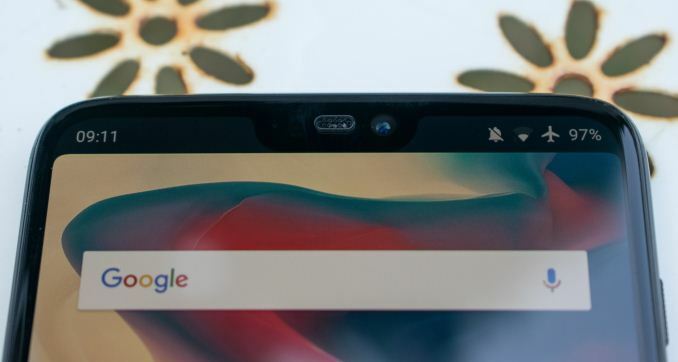 Indeed my review device was very quick in getting the latest July update to 5.1.9 and most interesting for users living on the bleeding edge, OnePlus takes part in the Android P beta program and it’s available for the OP6. Design-wise, OxygenOS is as close to clean Android as it can be. Out of the box the phone comes with just the bare essentials with the only OnePlus “specific” application being the OP community app. The launcher includes both an app drawer as well as puts most recently installed applications on the second home-screen. The left screen from the homescreen acts as sort of a dashboard with various preconfigured widgets such as memo functionality, recent contacts, recent apps and other subjectively useful toolboxes. The important feature here is that you’re able to add in arbitrary widgets onto the scrollable list, which is an interesting way of organizing your widgets. The notification tray is very clean and doesn’t veer far away from standard conventions. A much appreciated default feature in the OS is the ability to switch the OS into a dark theme. This turns the then predominantly white UI into mostly black and dark coloured elements, not only throughout the SystemUI but also in the bundled system applications. I’ve talked about how I really liked the gesture navigation on the Xiaomi MIX 2S and how it allowed for regaining more screen-estate by ditching the navigation bar. OnePlus’ implementation is similar in that swiping up from the bottom edge of the screen goes to the homescreen, but the back navigation functionality, instead of swiping up from the bottom lateral sides of the phone like on MIUI is implemented by swiping up from the sides of the bottom bezel which I find a lot more natural in terms of movement. One aspect of OnePlus’ implementation that I did not like at all is the hold duration needed to bring up the multi-tasking screen. This is done by also swiping up from the bottom middle of the screen, but holding your finger instead of letting it go will open up the multi-tasking screen. The problem for me was that I found the hold duration required to be too long and kind of detracted from the fluidity of the navigation. As an avid user of desktop browser gestures for a good 15 years, I’m extremely happy to see gesture navigation catching on in mobile – for many years we’ve had various innovative implementations from Chinese vendors but due to Google CTS limitations in the past we haven’t had the opportunity to see it wide-spread more often in western devices. Ironically it took Apple introducing them on the iPhone X to see Google finally have a change of heart. UI-less gesture navigations are in my opinion the single best solution to ergonomics. I think what Google did in Android P is a very poor and rushed attempt – hopefully vendors will have the liberty to implement their own variants. For OnePlus what I’d like to see in the future is to have more customizability such as varying hold duration, and maybe more customizable gestures to just let the user decide how he’d like them to function. I’m really looking forward to how things will evolve over the next couple of years as I think in the transition towards immersive bezel-less displays the traditional navigation bar has outlived its purpose. As mentioned in the intro, the notch attracts a lot of controversy. In reality there’s nothing controversial about it and it fulfils its purpose wonderfully: to extend screen real-estate. The OnePlus 6 in no way hinders any kind of experience and if you don’t like the visual cut-out, you can simply black it out. Overall OxygenOS on the OnePlus 6 is very straightforward and there’s very little to criticise it on. Performance is also outstanding, and that’s what we’ll more closely analyse in the next section. The last 2 security patches for the OP3/3T were released 4 and a half months apart. The release pace has been very inconsistent but there are a large number of betas for some reason. They posted a Software Maintenance Schedule a few weeks ago claiming 24 months of "Regular Software Maintenance" which includes major version upgrades and bi-monthly security patches followed by another 12 months of "Software Security Maintenance" with bi-monthly security patches.